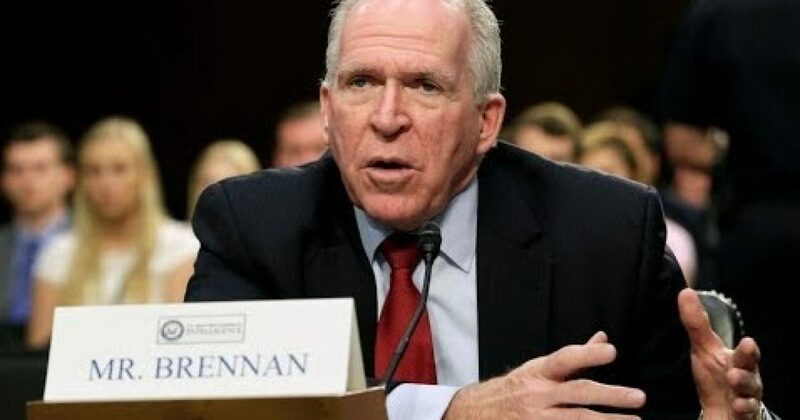 When President Donald Trump revoked the security clearance of former CIA Director John Brennan, a firestorm erupted over the President’s actions. The most ludicrous argument that Brennan and his media supporters have voiced is that his freedom of speech had been denied. Get a life. Brennan can still talk about anything he wants, but it better not be classified information. What has really been revoked is his need to know. That has not existed since he left his job. Do you think that John Brennan is out of control? A security clearance is like an office stapler; it’s something your employer provides that you need to do your job. For certain jobs, people have to access highly sensitive information, like data generated by spy satellites or agents the U.S. has in place in foreign countries, and a security clearance is the government saying that after investigating these people, we, the government, believe they are trustworthy. In keeping with Reagan’s adage of “trust but verify,” people with clearances still have to sign non-disclosure agreements (NDAs) in which they agree that the government can have their firstborn male child – yes, Virginia, the government is sexist – and any of their organs that the notorious RBG might need to live until the next Democratic president is elected. Basically, it’s a lot easier to sue someone for breach of an NDA than it is to convict him of espionage. Each individual’s security clearance is custom-tailored to what he needs to know for his job. The “need to know” principle says that even if you have a clearance at the über-super-nearly James Bond cool level, you can see only the information relevant to what you’re doing at….